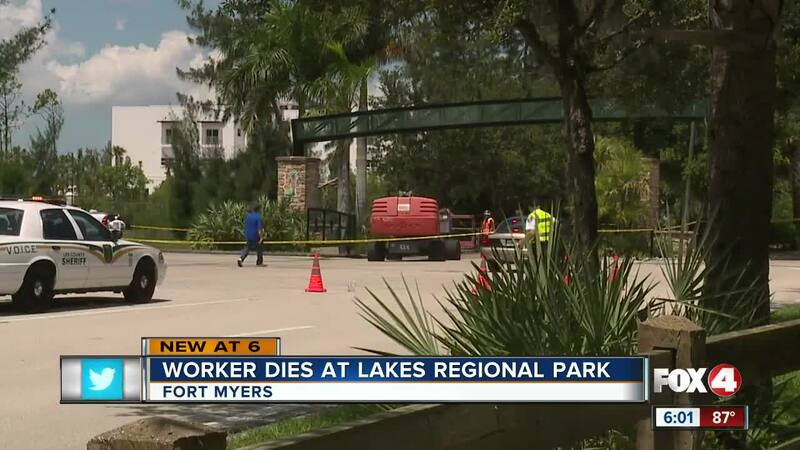 FORT MYERS, Fla. -- Investigators are working to find out what caused the death of a painter at the entrance to Lakes Regional Park on Thursday. According to South Trail Fire Rescue, the victim was working on a lift near the arched entryway to the park off Gladiolus Drive when the death occurred. Deputies and the fire department discovered a worker severely injured high above the ground in a boom lift. 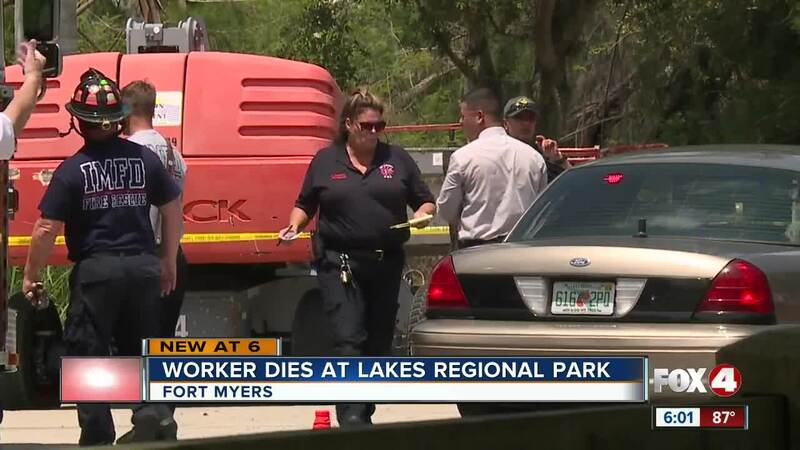 The victim, Manreh Gene Crenshaw, 41, was found pinned between the boom lift and the Lakes park entrance arch. He was declared deceased on scene. The park remains open and accessible to the public. The entrance and exit traffic pattern has been slightly modified to accommodate the ongoing investigation.